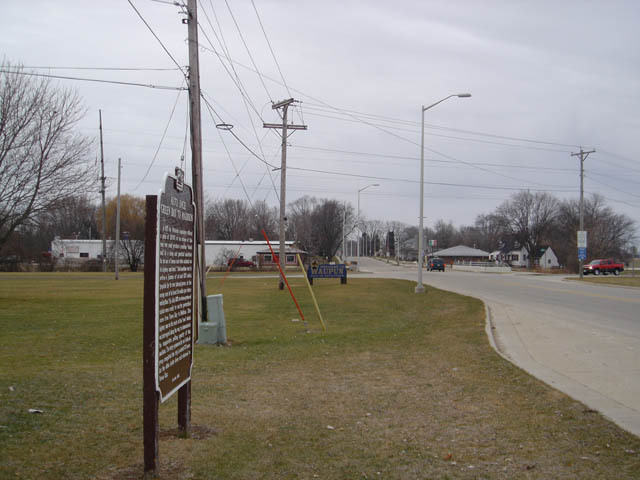 Located Fon Du Lac St, just past Gateway Dr. Waupun WI. Coordinates Lat N 43:38':537" Lon W -88:43':115"
In 1875 the Wisconsin Legislature -offered a prize of $10.000 to the citizen Of this state who could produce a machine "which shall lie a cheap and practical substitute for the use of horses and other animals on the highway and farm." Such machine was to perform a journey of at least 200 miles. "propelled by its own internal power. 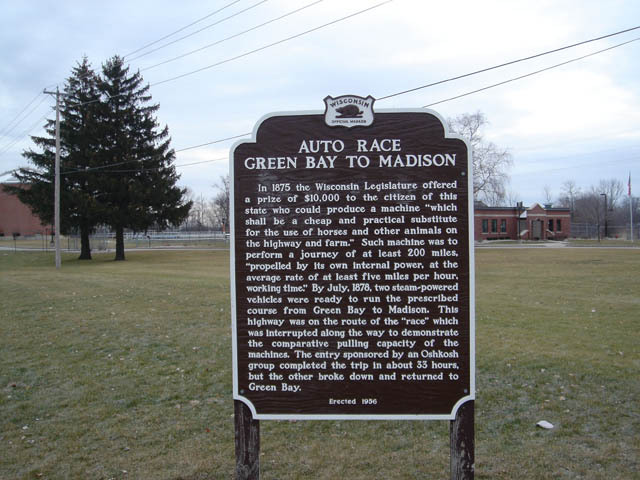 at the average rate of at least five miles per hour, working timer By July, 1878, two steam-powered vehicles were ready to run the prescribed course from Green Bay to Madison. This highway was on the route of the "race" which was interrupted along the way to demonstrate the comparative pulling capacity of the machines. The entry sponsored by an Oshkosh group completed the trip in about 33 hours, but the other broke down and returned to Green Bay.